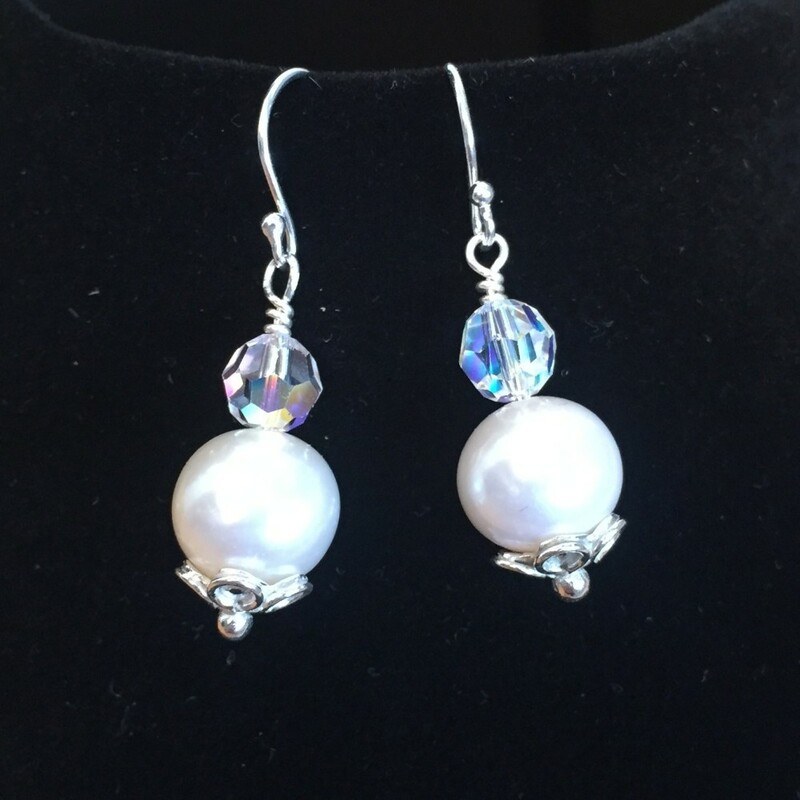 Pearl and crystal earrings with delicate sterling silver flower caps. They are filled with ‘promise’ to make the wearer feel very special. Just lovely!